All models are for Trainz Railroad Simulator 2004 SP4 or later, unless otherwise specified. 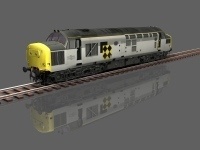 The Class 37 page now includes a "smooth nose" base model with no headcode boxes. The other base models have been updated too, with no LOD (as this caused aliasing problems) and no more errors in TRS 2006+. Trainz Classics 3 has been released, with a whole new steam physics model and a lot of new UK content, including my Stanier 8F and Fowler 3F with custom cabs! I'm hoping to finish off a lot of my old projects and release them for TC3 over the coming months, either on my own or with the help of the TC3 team. 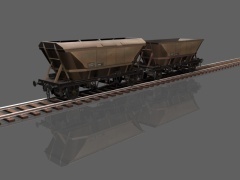 To kick things off, here are my HTV hopper wagons; finished a long time ago but never released. Click the image to download - TC3 is required. 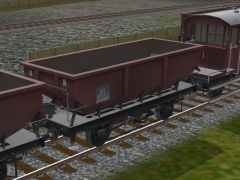 Liveries included are original bauxite red, and later departmental grey and yellow. I've added the second Class 37 reskin base (split headcode) to the Class 37 page. Sorry to take so long about it. 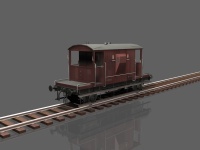 The HAA Hoppers and 1460 Class DELs are now available as donationware. 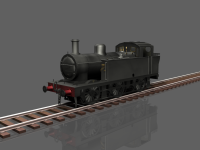 Many, many hours went into creating these models (and all the Trainz models I have made over the years), so please do consider making a donation if you download them. You may have noticed the link to my graphics for TTDPatch hidden over to the left there. This is currently a very small part of the site, but will be growing in the weeks to come. I'll also be posting about http://www.rail-sim.co.uk/'s upcoming products for TRS2006, which include my previously unreleased Stanier 8F. Stay tuned! The 3F has been released! Initially, there is no custom cab, but that is in the works. 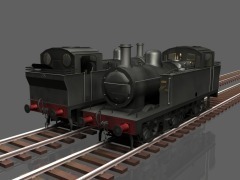 You can get the loco from rail-sim.co.uk; it works in both '04 and '06. TRS 2006 has been released, and I'm relieved to see that all my existing 2004 content works in the new build. 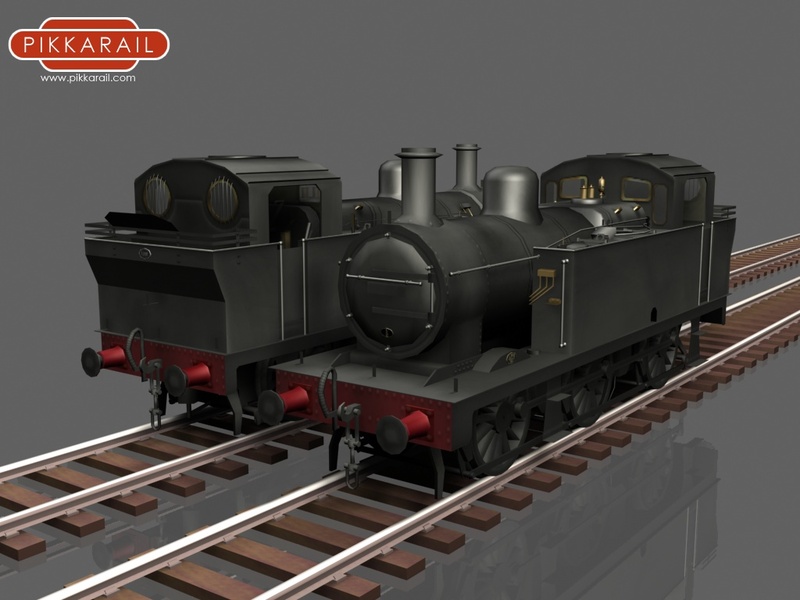 Things are a little quiet lately on the TRS front, but for any of you who play TTDPatch, I have today released an update to my UK Renewal train set, adding three new locomotives and new cargos compatibility. Find more information in the forum thread. Work on the 3F is continuing, albeit slowly - I only have the cab view to finish now. 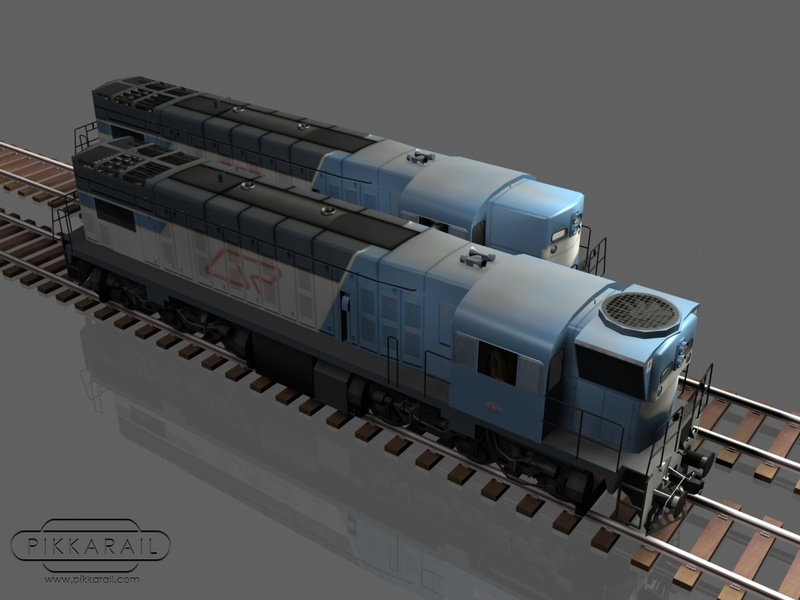 This locomotive will be a freeware release, shortly after TRS2006 comes out. 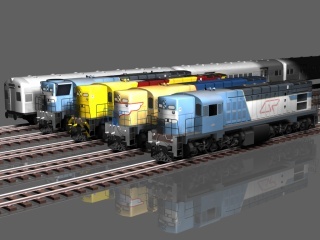 My QR 1460 and 1502 DELs, along with the passenger-active SX cars, are now available to buy! I'm very happy with the way these turned out. Special thanks must go to Wulf_9 for letting me use his engine sounds - together with the scripted features, they really bring the locomotives to life. For more on the DELs and SX cars, Click here. I have uploaded a QR DEL cab, based on assets from Auran's Art Source CD, and as used my the upcoming 1460 and 1502 classes (which are scheduled for release this Friday). It is a "shell cab", a scripted cab which supports features such as dual control stands for long-hood-first running. I added a quick little page for my graphics for Transport Tycoon and Locomotion. Pages for all my released TRS2004 stock. You'll find the links on the left. 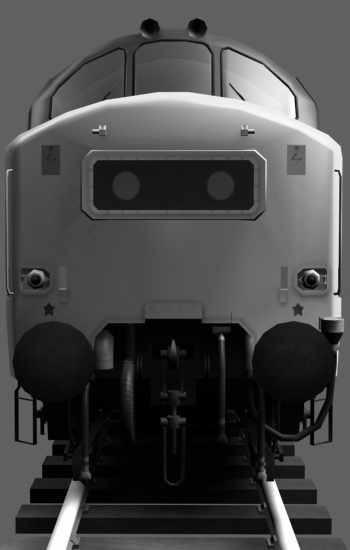 All seven Class 37 models released are linked, and all have been updated with working couplers. 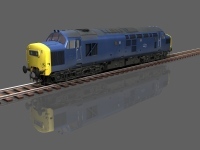 A reskinnable version of the Class 37 is now available. * * * I'm currently working hard on a number of new payware and freeware releases, some new models and some updates of my UTC stock. 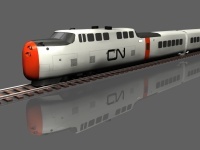 First up will be a payware package of the QR 1460 and 1502 Class DELs, with SX passenger cars. Look for these around the start of next month. I have added weathered skins for the HAA and HBA to the HAA page. They are a free download for owners of the payware HAAs. The HAA and HBA Hopper pack is now available to purchase. Click here for more information. 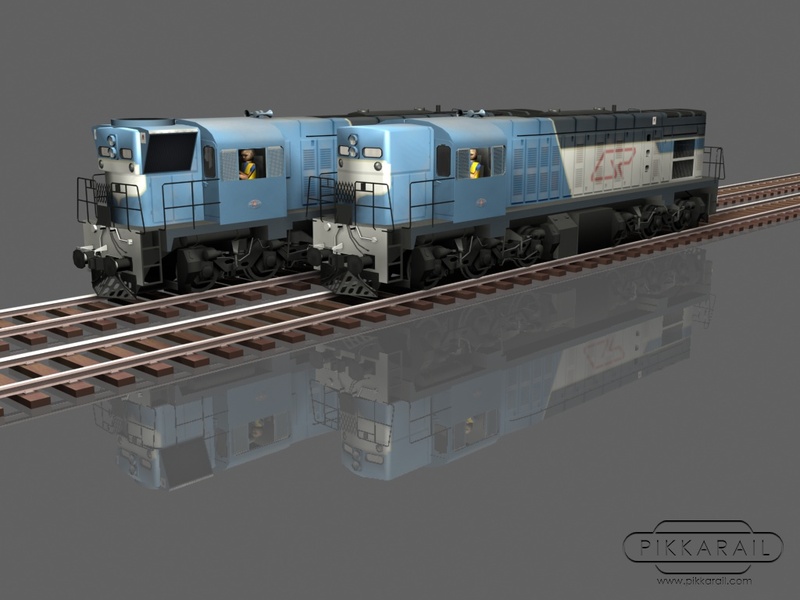 The Class 37 in Trainload Coal livery is now available for free download. Click here for the Class 37 Page.